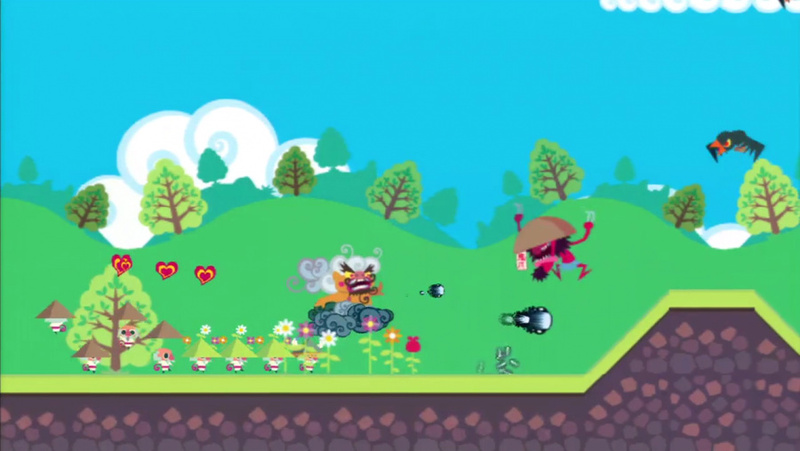 UK-based studio Dakko Dakko has confirmed it is working on an exclusive Wii U title by the name of Scram Kitty And His Buddy On Rails. Dakko Dakko is based in Cardiff and is run by Rhodri Broadbent, who worked at Q-Games on Star Fox Command and is a lifelong Nintendo fan. The studio's previous games — The 2D Adventures of Rotating Octopus Character and Floating Cloud God Saves the Pilgrims — were both on Sony's PlayStation Minis service, and gained positive reviews. Speaking exclusively to our very good friends over at Eurogamer, Broadbent revealed some details about Scram Kitty, which is still at a very early stage of development. Scram Kitty exists on the TV screen, while the player interacts with the GamePad in the role of the titular "Buddy on Rails". Although no screens have been released so far, it would appear that the game will be in 2D. I like it when you have experiences with family. They hate touchscreen because the stress, but they enjoy the passive thing of watching you play the game. My brother used to enjoy watching me play Speedball 2. We want to make it so that it can translate messages that you send into an assist mode. You know in Street Fighter 4 and you get a super finish and everything goes crazy and it feels awesome? We want to make it so you can send those abilities to other players. So if you beat a boss or do something in a certain time, that can be translated into an assist item for a friend. Mostly it's in game design - they're intrigued and interested in what you're bringing to the platform, and they have interesting questions. With us they've been very involved and interested in what we're doing. I don't think anyone reasonable was expecting Wii U to go out the gate like the Wii did. For any of the new platforms to really fail requires a shift in humans that I'm not aware of yet, in terms of people not wanting good content. The 3DS showed quite clearly that if you say this machine has a new Mario, and it's got this and this and this. In Japan last year the 3DS had an amazing year, and if they start translating that sort of excitement to other platforms then I absolutely believe not just in Wii U but in the grand console future. Video games are something to be cherished and celebrated, and there's no one better at doing that than Nintendo. It's that simple - it only takes one game to turn a platform around. People will buy a platform for one game, and when they've got the system they'll buy more games. It's just about finding that one game. In addition to speaking to Eurogamer, Dakko Dakko has released a press release regarding the announcement, which is replicated below. Wales, UK, 13th February 2013. 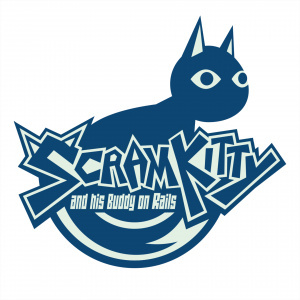 Dakko Dakko has announced that it is an officially licensed Wii U™ developer and is bringing its new title, Scram Kitty and his Buddy on Rails, exclusively to Nintendo’s latest platform. Set to launch via the Nintendo eShop in 2013, Scram Kitty and his Buddy on Rails (working title) is a brand new action title featuring Dakko Dakko’s distinctive blend of tight, rewarding game mechanics and whimsical characters. Dan Croucher, producer, Dakko Dakko said "As a small console team with big ambitions, we couldn't ask for a better platform to be working on than Wii U and we’re overjoyed to be awarded official developer status by Nintendo.” He continues, “Miiverse™ is an amazing opportunity for independent developers like us to connect with our players, and great games like Trine 2 and The Cave are making the Nintendo eShop feel like a very classy neighbourhood indeed - I can't wait for Scram Kitty and his Buddy on Rails to join them." Dakko Dakko’s recently expanded team is again enlisting the visual talents of Army of Trolls’ Gary Lucken, to give Scram Kitty and his Buddy on Rails a striking and vibrant graphical style. The game itself will mix fast-paced shooting gameplay with a unique rail-riding platformer mechanic to provide a modern twist on classic arcade action, with more details to be announced shortly. 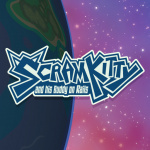 Are you excited about Scram Kitty? Drop a comment to let us know what you think. These guys are good at naming video games. Cloud God is really good so I'm excited to see more of this. CARDIFF REPRESENT! Big fan of your work Rhod, super excited for your further stuff! Sounds like it will be fun!! You have to give it to this guy for his video game names. Sounds like it has potential. Sounds different... My family enjoys watching me play Sonic Racing Transformed so more games that allow my family to be backseat drivers, the better Hopefully the game has length, that'd be my #1 wish for this game. The Wii U needs more kittens. I'm glad one developer has stepped up. Super awesome! Now if only SuperGiant Games releases Bastion on Wii U, that would be heaven. Awesome. Now if Q Games joins the party too, wow. Really enjoyed Floating Cloud God Saves the Pilgrims (gave it 8/10 on Push Square), so definitely looking forward to seeing what they can do with Wii U! Lol, they have a knack for crazy names! "I don't think anyone reasonable was expecting Wii U to go out the gate like the Wii did"